Big difference between "2-day Shipping" and "2-day Delivery"
Millions of us happily pay $119 a year for Amazon Prime. That's because it's convenient and you can often receive your orders in just two days with free shipping. But one woman is among a growing number of people complaining their packages are arriving late. Latosha Wright loved the speedy delivery to her home that came with Amazon Prime. But with several recent orders, she says, "I started noticing that the packages were not coming when they stated they would come." Instead of a familiar brown box at the door, she started receiving emails about delays. "I got an email stating the package would be delayed, even with some gift cards I ordered," she said. So her gift ended up being late. Why are some orders taking longer? Wright says after several delivery delays in a row, "I wrote to the Attorney General's office because I was so frustrated by the amount of delays." 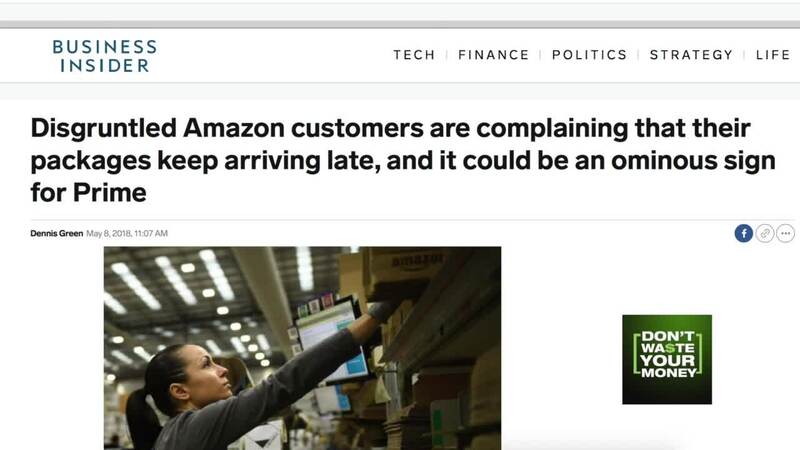 Her complaint is becoming more common, according a recent Business Insider report, titled "Disgruntled Amazon customers are complaining that their packages keep arriving late." But the report found that there's a big difference between two-day shipping and two-day delivery to your door. Many customers assume that they will receive the item two days from the moment they place their order. Business Insider found the slowdown is typically not with delivery, but with the third-party sellers that now dominate the site. They need to get that product to an Amazon warehouse, where Amazon then ships it to you. Amazon explains, "Prime 2-day shipping refers to the amount of time it takes for your item to arrive once its been processed and shipped." It is not two days from the moment you place the order. Try to purchase items that say "Sold by Amazon" (though fewer and fewer seem to fall into that category). Next best is "Fulfilled by Amazon," which means Amazon takes care of the seller's shipping. Hint: Look for items that say "Get it Tomorrow," which typically means it is already in an Amazon warehouse. Be cautious if it is a third-party seller that is not fulfilled by Amazon. That is where most of the long delays occur. "I thought 2 days shipping meant I would receive the package in two days," Wright said. Many customers think that, too. If your order is delayed, the easiest way to contact Amazon is through web chat, not calling. A chat agent can sometimes find another vendor who can rush out your order, so you don't waste your money.